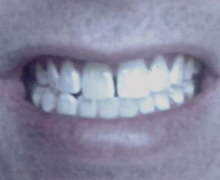 Gallery — Arnold S. Jacobson, D.M.D. 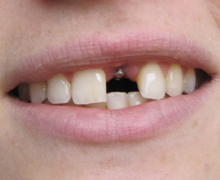 Adult Fracture of Front Teeth Repaired Without Anesthetic or Drilling Utilizing Bonding with Composite Resin Fillling Material. 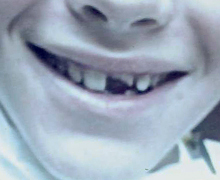 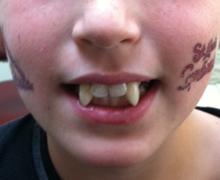 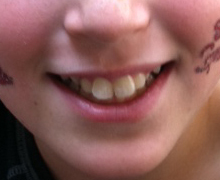 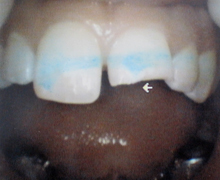 Child's Incisor Fractured in Swimming Pool with close-up of crown restoration. 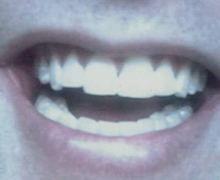 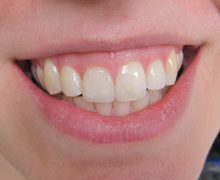 Adult Space Closure and Smile Redesign with Bonding. 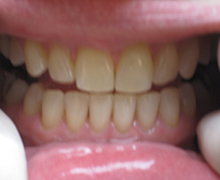 Implant Replacing Upper Central Incisor. 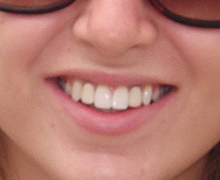 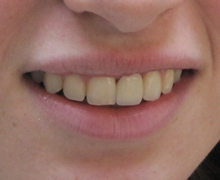 Implantation of 2 upper lateral incisor crowns after orthodontic treatment. 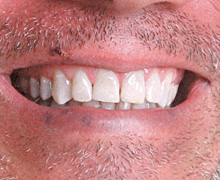 Duration of Treatment: 9 months. 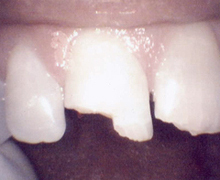 Tooth fracture from trauma: restored without anesthetic, drilling or crown utilizing composite resin.